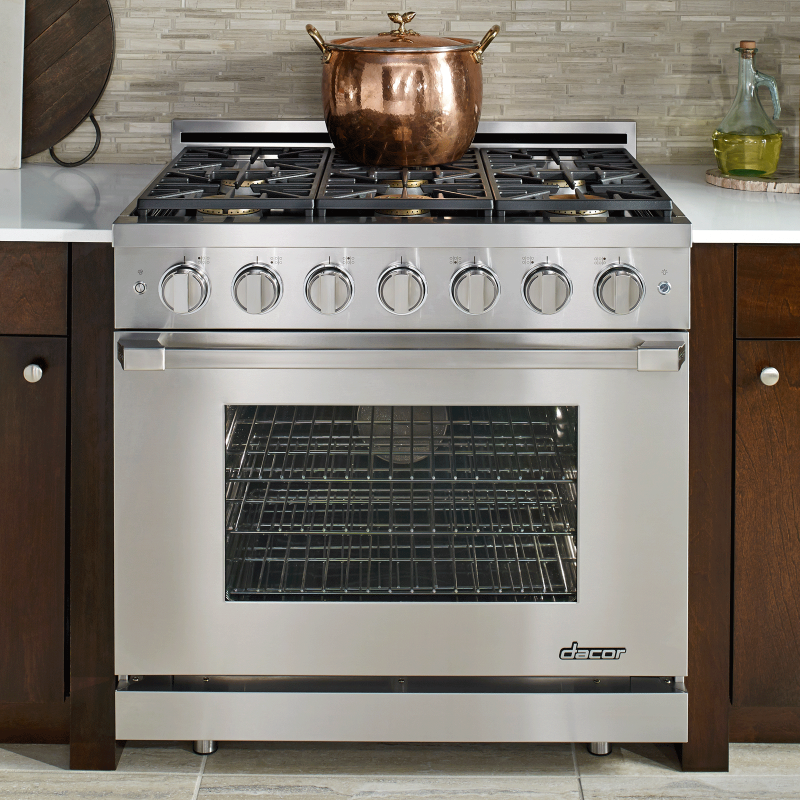 This freestanding gas range oven by Dacor with 6 sealed burners has a 5.2 cu. ft. oven capacity to accommodate large dihes, meals and commercial baking pans. 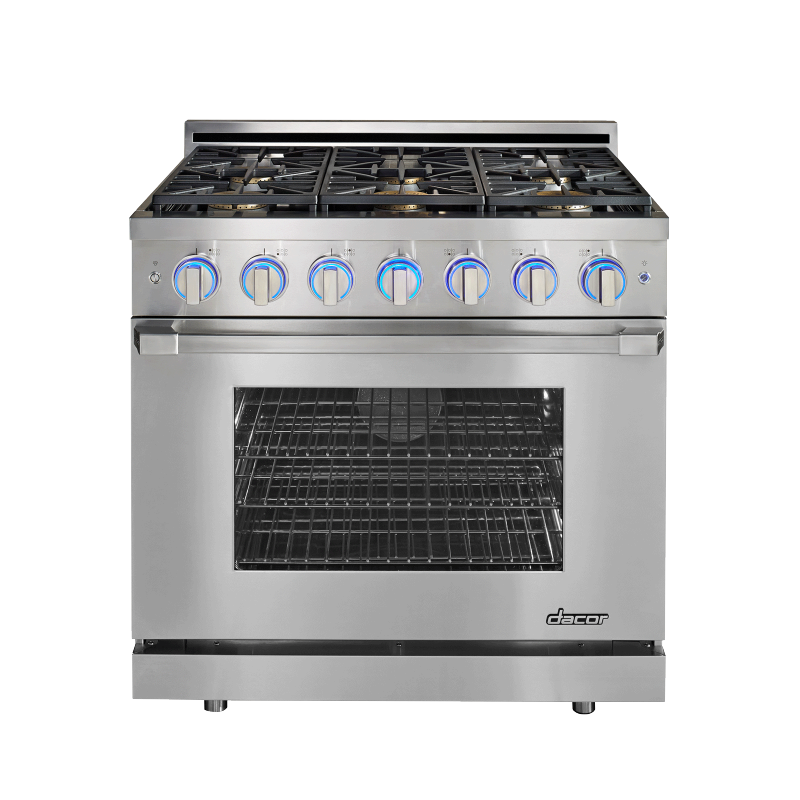 Features include ProGrip design that lights up when a burner is in use, LED light and fan indicators, self-cleaning oven for reduced manual cleaning, sealed porcelain enameled cooktop spill basin for easy cleanup, continuous greates, Perma-Flame Technology to automatically reignite burners, SmartFlame Technology that reduces flame contact with grates and 3" backguard. Provide ultra-high heat for the perfect sear or ultra-low temperature for simmer and melting with precision control only from Dacor. 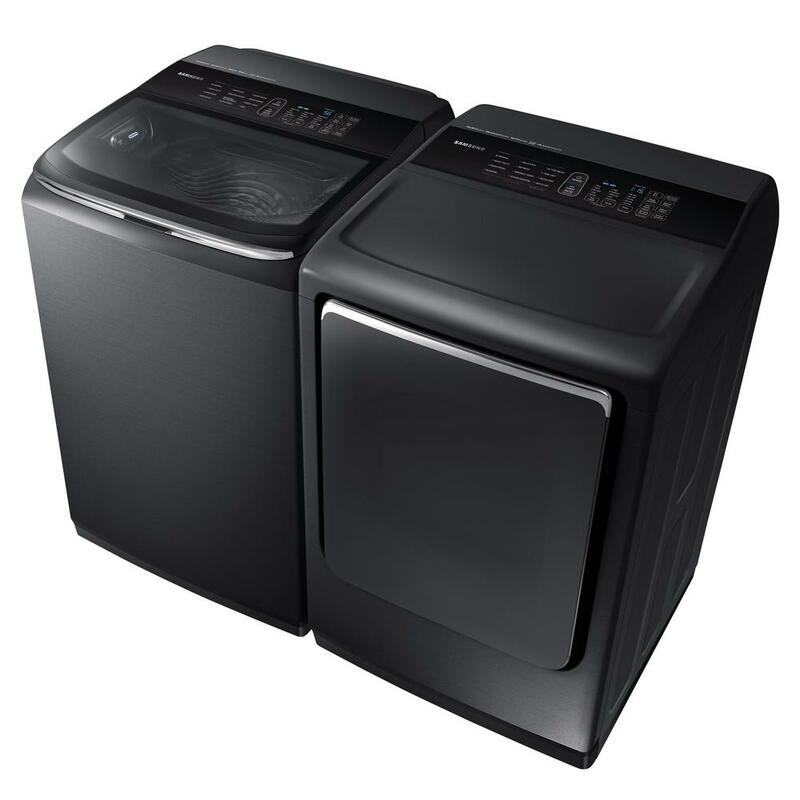 For superior efficiency, reliability and longevity. Perfectly place Illumina burner controls with new ProGrip design are beautiful and functional. 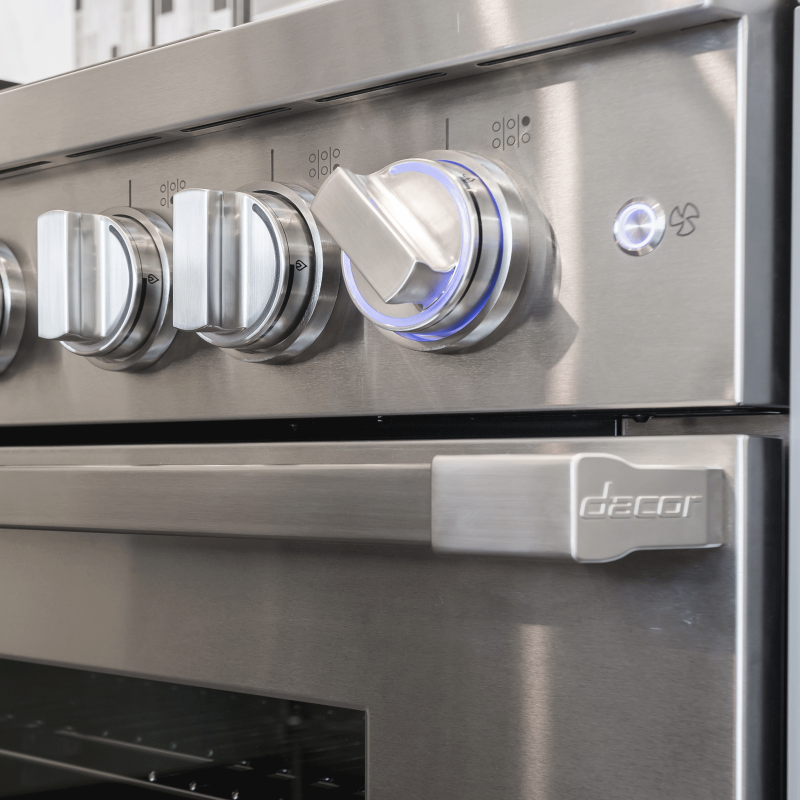 Each control glow signature Dacor flame blue when it is in use so you never have to wonder if a burner is on. Providing heat to pots and pans, but avoid contact with platform grates so they will look stunning and last for years. Ensuring safety and constant cooking temperature, but will automatically reignite burners if flame unexpectedly goes out. Inside the oven, exclusive Decor technology enables a 3-part convection system to engineer the flow of air, providing precise temperature control with superior heat distribution and zero flavor transfer. With the self-cleaning mode, the oven uses high heat to break down build up that would otherwise be difficult to clean. The large level surface on the continuous platform grates make it easy to handle even the heaviest pots and pans. Providing a spacious cooking surface and adds to an already distinctive style. The sealed burners are combined with ultra-smooth porcelain spill basin that help you clean up in minutes, so you'll spend less time cleaning and more time enjoying your culinary creations.